JSA Engineers and Land Surveyors is a private engineering and surveying firm hired by the City of Canton to perform the construction administration services for the project. Please contact any of the following project team members if you have any questions or concerns. To sign up and receive bulletins by email send an email to myron@jsaengineers.biz or call 605.359.2796. – Finished installing sanitary sewer main on Dakota Street. – Sawcut pavement for removals on Kimball Street. No significant items of work were completed by the private utility companies this period. The following work is anticipated over the next couple of weeks. 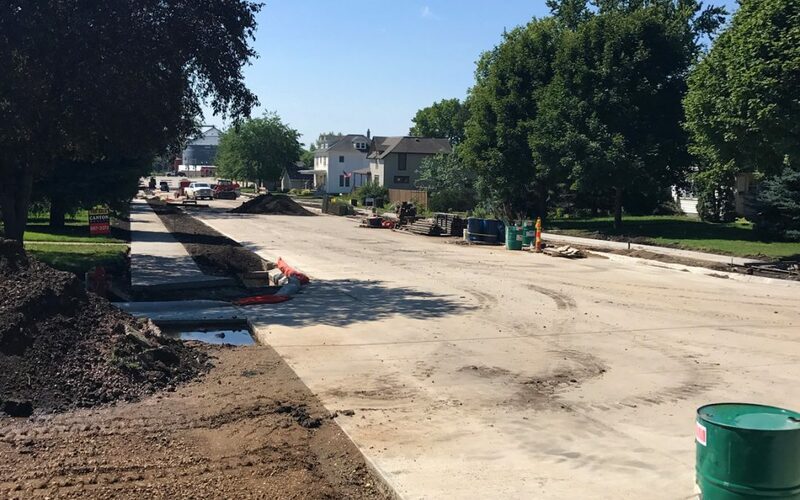 · Finish installing sanitary sewer services along Dakota St.
· Install storm sewer main through the intersection of Maple St. Construct new storm sewer inlets/boxes. 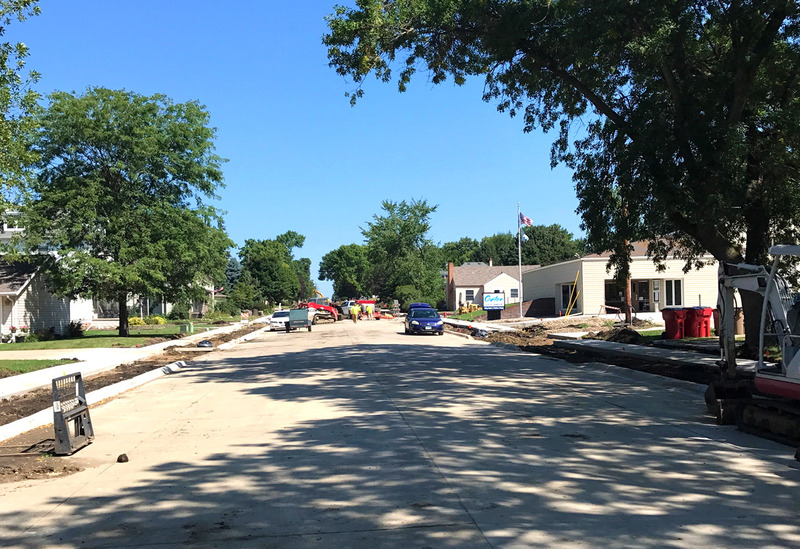 · Begin installing water main from Maple St to Lynn Ave.
· Pour concrete driveways between 4th St and 2nd St.
· Begin paving Dakota St. from 2nd St to Maple St.
– Dakota St from 4th to Lynn – CLOSED. The contractor expects to be completed with the project by October 31, 2017. This is only an estimate and may vary due to weather or other unforeseen circumstances. If you have a disability or limitation which may require special accommodations for access, please contact the JSA office. This project bulletin will be distributed by email every two weeks during construction, and will be posted on the City’s website. If you wish to discontinue receiving these project updates, please contact Myron Adam at myron@jsaengineers.biz so you can be removed from the email distribution list.